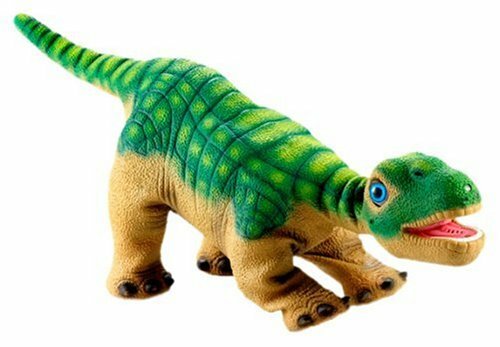 Top 19 Fun and Coolest Best Dinosaur Toys for Boys! The Coolest Best Dinosaur Toys for Boys! Dinosaur toys make awesome birthday or Christmas toys for boys! I don’t exactly know why, but little boys absolutely love dinosaur toys! If you are looking for cool toys for boys, I strongly recommend going with a dinosaur toy, you can’t go wrong! I wouldn’t recommend it to a toddler, though, because they get scared. The cool thing about some of these is that most of them are electronic toys too, so they really interact with the kids! 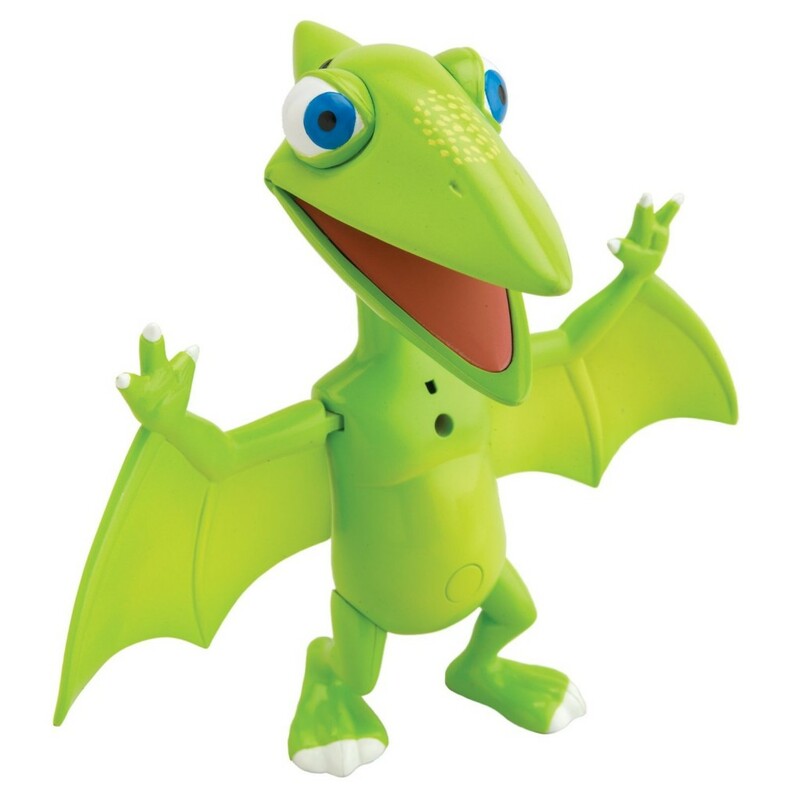 Many electronic dinosaur toys will walk, roar, play fetch, talk, dance and perform a variety of funstunts for the kids! And they are very big too! I found some pretty cool toy dinosaurs for sale and I knew I had to create this special ‘dinosaur’ page to show them off to you! From amazing and gigantic stuffed dinosaurs, just like this Huge Plush Ride-on Brontosaurus to electronic toy dinosaurs and even dinosaur ride-on toys and cool dinosaur figures, you will find all the top selling ones here that every little boy will love! *The Brontosaurus were the largest land animals that ever walked the planet! That means they only eat plants! I hope you have some ‘dinosaur’ fun here today! 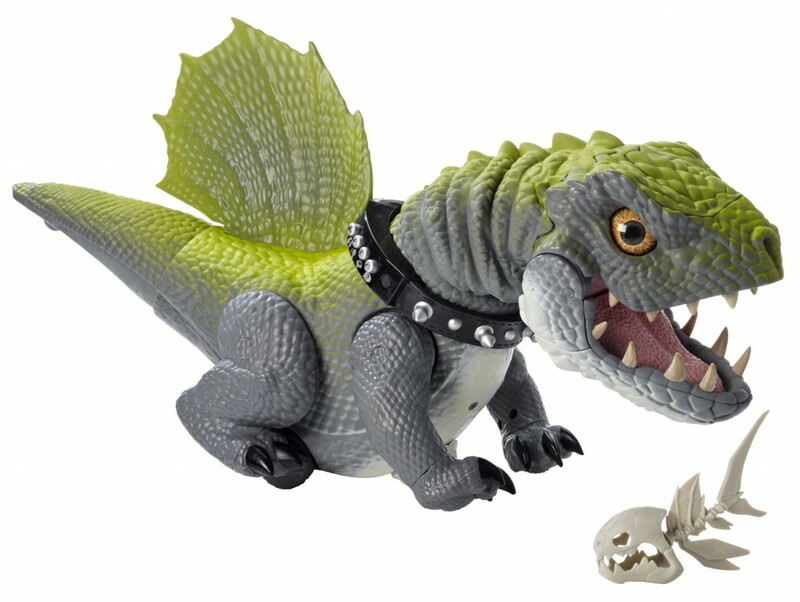 Pleo Dinosaur: Sophisticated Robotic Toy Dinosaur! This is a very interesting and intriguing dinosaur toy for boys! He is still a baby dinosaur and he is eager to explore his new surroundings with you! He is a little stubborn and doesn’t like to do what he is told. He has a very sophisticated sensory system that make him ‘see’, and interact with kids without a remote control! He is basically an ‘intelligent’ robot dinosaur! Happy buyers say they love how this toy dinosaur seems to ‘be alive’ and how it really interacts with you! 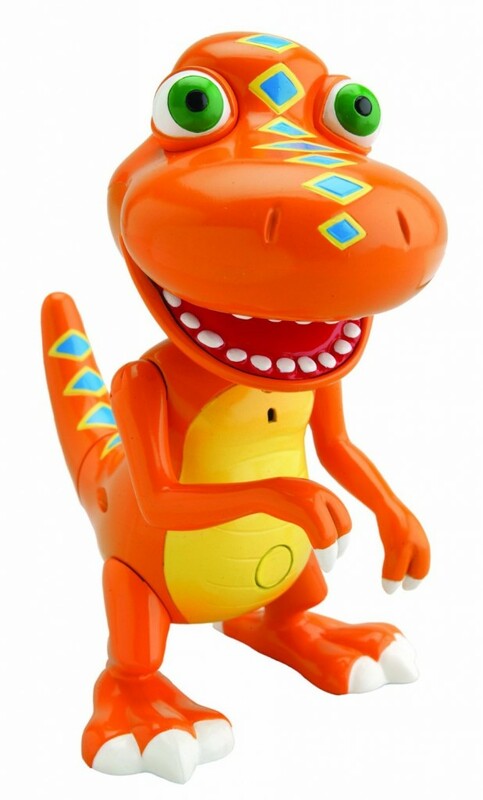 The Pleo robotic dinosaur is one of the most popular electronic toy dinosaurs for boys! He interacts, moves his body, changes his personality and ‘knows’ when he is being touched! Kids absolutely go crazy with him! He is absolutely adorable and you gotta see what he does! Check out the video below and see this amazing robotic dinosaur for yourself! Watch the Pleo Robotic Dinosaur Waking Up! Zoomer Dino – Bonekruncher Electronic Dinosaur! Amazing Robotic Dinosaur Toys for Boys! Another unique and also very cool electronic toy dinosaur for sale! As you can see his ‘dinosaur legs’ have wheels that your little one will control using the remote! He also has sensors that tell him where you are! He is definitely one of a kind and very unique! *Check out the Zoomer Dino in action! 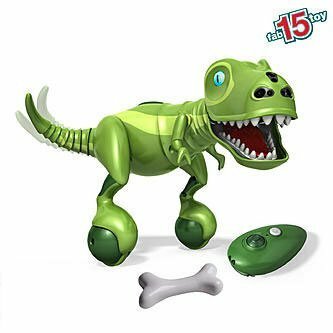 Cruncher Prehistoric Pets Interactive Dinosaur Toy! 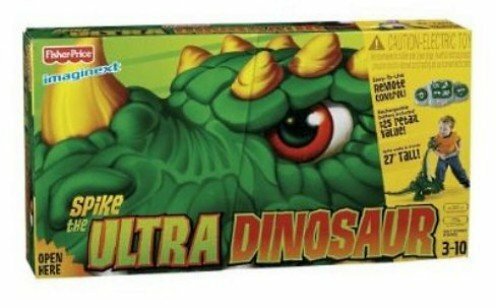 Best Dinosaur Toys for Boys! 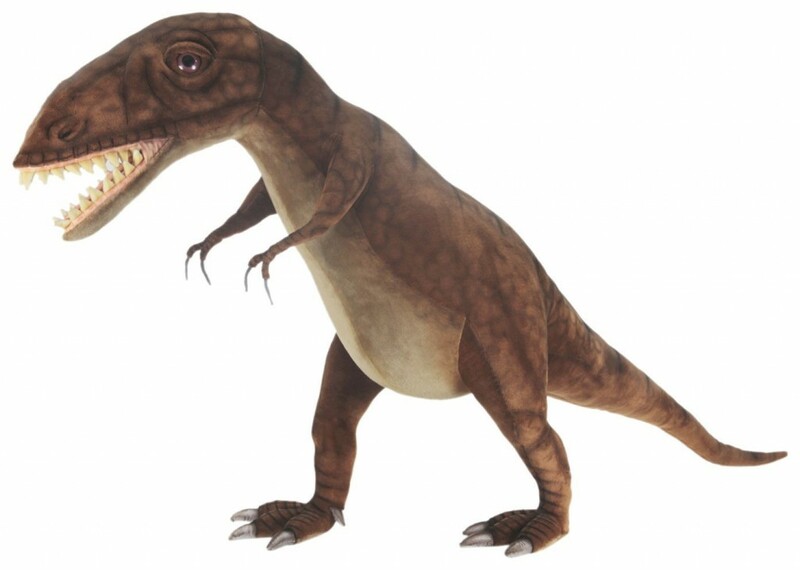 The ‘Cruncher’ is among the best and most popular interactive toy dinosaurs for boys being bought by parents! He can dance, he can play catch and he makes horrific dinosaur sounds too! Buyers say he is so cool, that even dad loves to play with him too! Everyone is having fun with the Cruncher! Fisher-price Imaginext Spike HUGE Ultra Electronic Dinosaur Toy for Little Boys! He is a very cool electronic dinosaur toy for little boys! Just imagine your little boy’s face playing with his new electronic dinosaur! This is a huge animated dinosaur, almost the size of this 3 year old. This fun dinosaur will walk forward, turn left and right, open his mouth, blink his eyes, stand up on his hind legs, and do more fun things! Needless to say this dinosaur toy is a big hit among little boys! It is a very cool toy! All kids have to do is press a button to bring Spike to life! Happy buyers said he is the perfect toy dinosaur gift for little boys ages 3 to 6 years old! How about getting a gigantic inflated dinosaur to create the most awesome ‘pre-historic’ dinosaur bedroom for your little boy? He is also great for throwing the most fun ‘dinosaur theme’ birthday party, of course! How about having a giant plush T-Rex dinosaur in your bedroom? Do you think you will be able to sleep at night? What if he gets hungry in the middle of the night? What a cool Pterodactyl dinosaur brontosaurus for sale! Grab him before he is gone! Playskool Kota My Triceratops Dinosaur: Best Ride-on Toy Dinosaur for Toddler Boys! 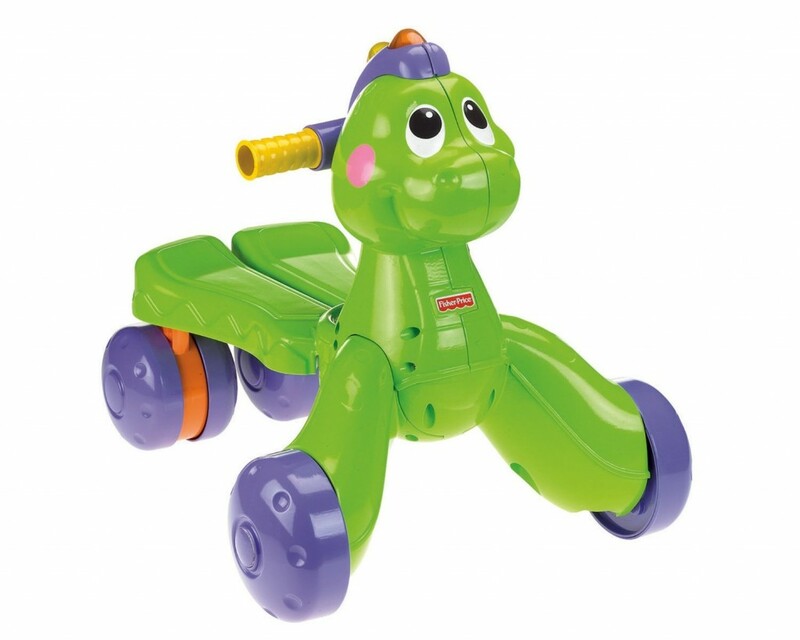 This ride-on dinosaur is also one of the top dinosaur toys sellers! Extremely popular, with over 80 customer reviews, it is a fun dinosaur toy for kids ages 2 and 3 to 5 years old. 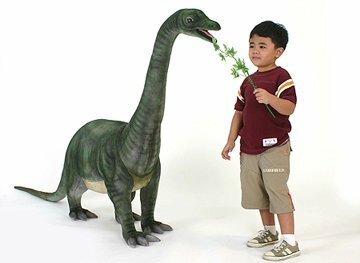 This animatronic, life-size fun and cute baby dinosaur stands over 3 feet tall and comes to “life” with realistic sounds and motion! It will respond to your voice and touch with roaring and laughing sounds, and move his tail, eyes, head and mouth! It also plays 4 adventure tunes! He will sniff your hands and laugh when you feed him! Makes a great birthday gift to a 3 year old little boy! Every little boy (and some brave little girls too!) loves Kota! Kota is a very cute ride-on Triceratops dinosaur toy! Children go absolutely crazy when he makes his realistic dinosaur sounds and he also moves his head, tail, eyes and mouth! 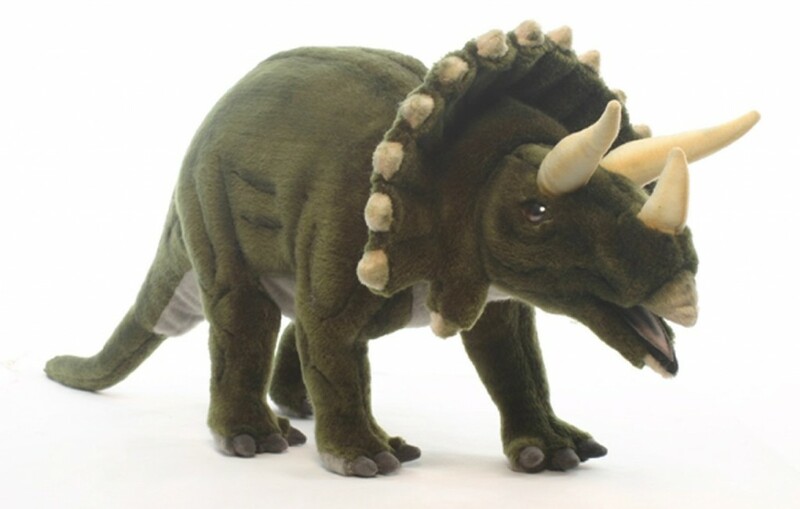 A super realistic plush Triceratops dinosaur! 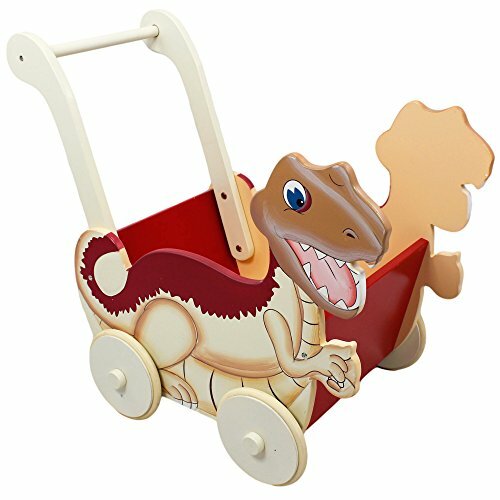 This is one of the cutest wooden red dinosaur push toy cart for toddlers being sold! I love his fun colors and his happy dinosaur face! He seems to be super friendly and ready to take your little boy in a fun ‘pushing cool toys adventure’! Just add his favorite toys inside! Fun and Cute Dinosaur Ride-on Walker for Babies! Look who came to help your baby boy take his very first steps! It’s the cute bright green Stride to Ride Dino! He is a very happy dino fellow who loves to help babies walk! 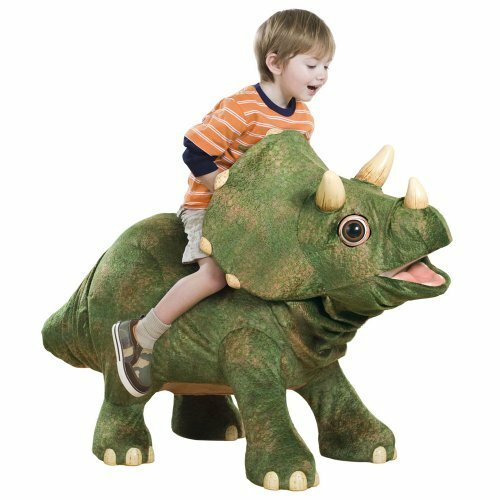 This is such a cute and fun dinosaur ride-on toy! Great birthday gift idea for a baby learning how to walk! As baby boy walks along with baby dino, he will play music and fun sound effects! He will also dance and move his head to the fun music and sound effects that he makes! Your baby will get so excited that he won’t even notice that he is actually walking!! Mom and dad will be recording everything on their video-cameras of course! Let the fun memories begin! And of course I couldn’t forget to show you a cute and fun dinosaur plush rocker for toddlers! Dinosaur rockers make amazing gift ideas for little boys! 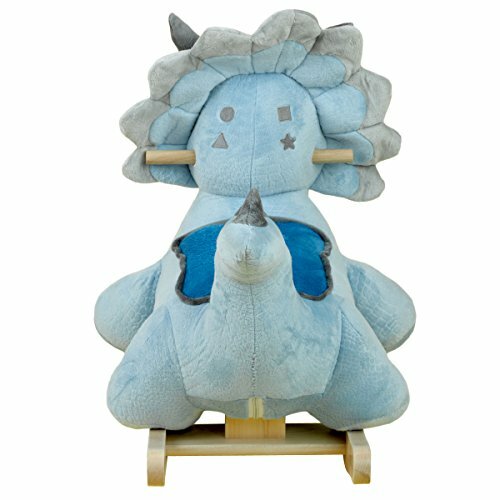 This blue dinosaur plush rocker is very cute! You can never go wrong with one of these for a toddler! How about a Cute Set of Dinosaur Chairs? 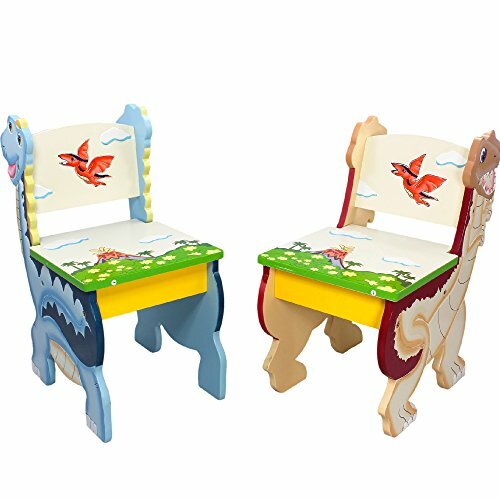 What a cute set of two dinosaur themed chairs for kids! 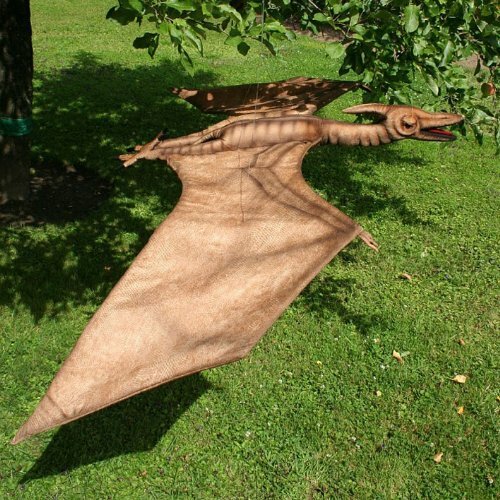 Perfect for them to play with their dinosaur figures or stuffed toys! You can also place it outdoors so the kids can get some sun and fresh air while they play! Very creative ‘dinosaur gift idea’! This is a super cute toy dinosaur for sale! I love his light green color! His name is Tiny and he is ready to go home with you and play! He is a cute fellow that moves and interacts with your boy! Super fun dinosaur toy and very affordable! Learning Curve Dinosaur Train: Interactive Toy Dinosaurs! He loves to have ‘roaring’ contests with kids! No wonder he is so popular! 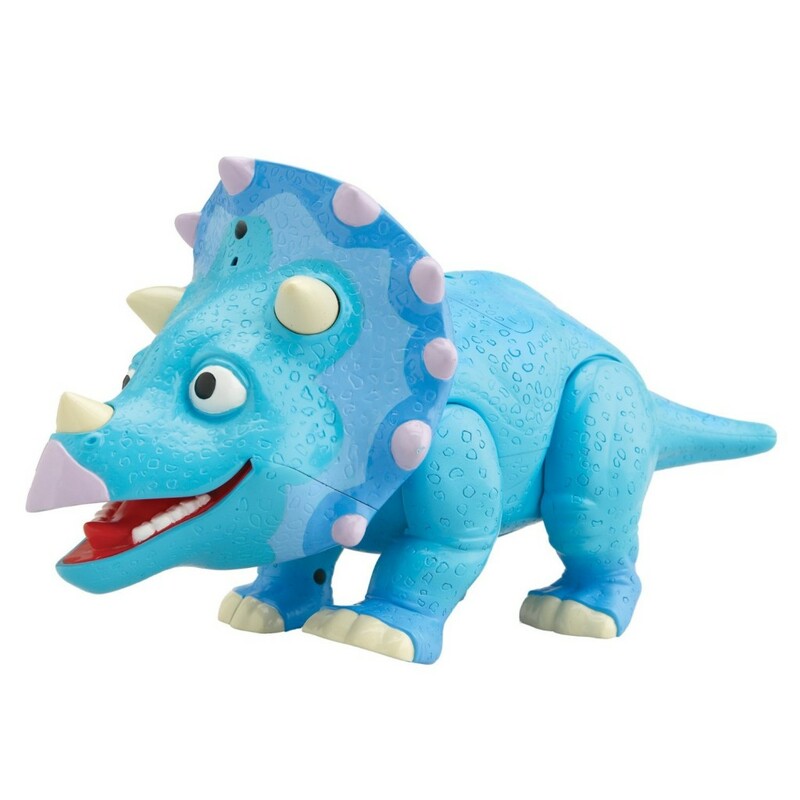 Get this blue fellow to interact with the orange dinosaur above and they will have their own roaring contest! See which one roars the loudest! Tank makes chomping sounds with his mouth and stomping sounds as he walks! 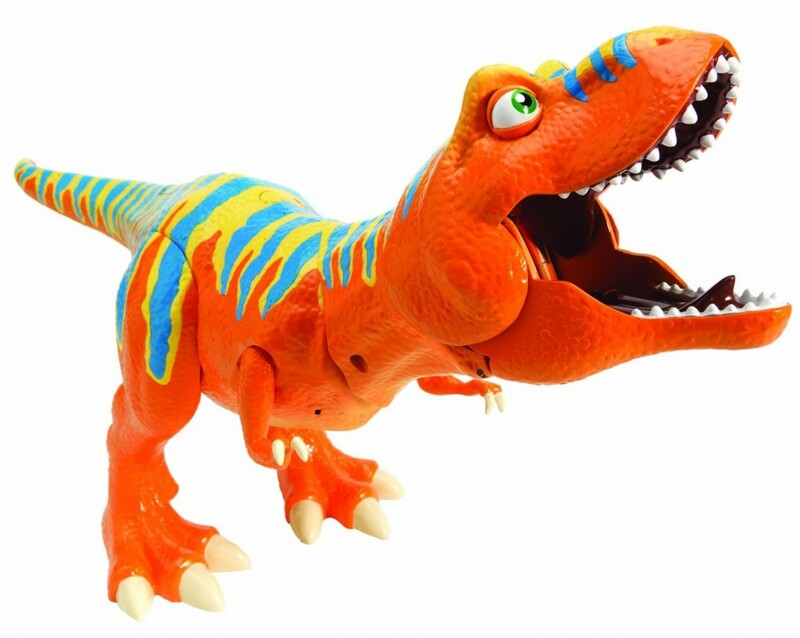 This bright orange interactive dinosaur is a big hit among little boys ages 3 to 6 years old! He makes chomping sounds with his mouth and stomping sounds as he walks! He also talks and moves! Popular (and very funny) Dinosaur Toy! 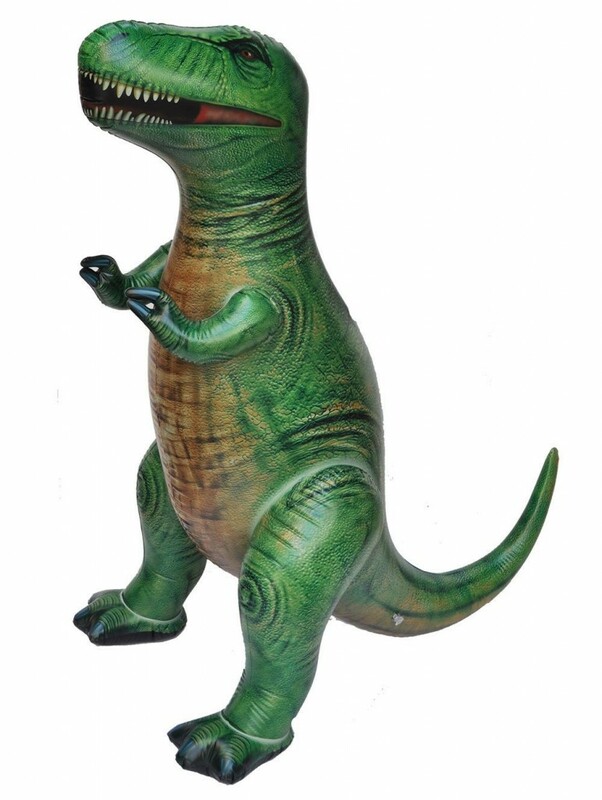 This is one of the most popular and loved dinosaur toys for boys! He is a funny green fellow, isn’t he? 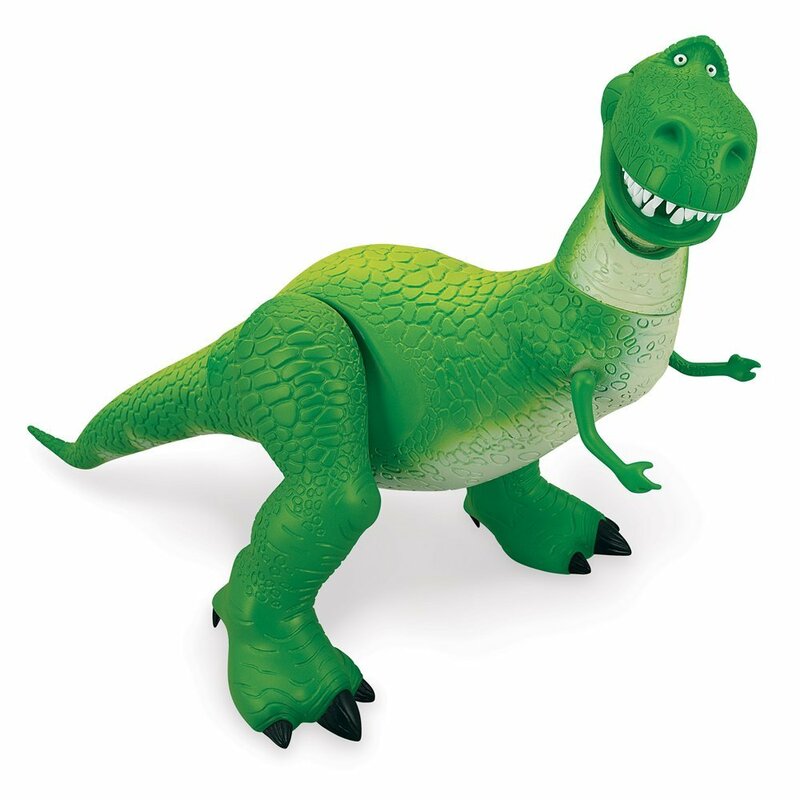 It is the beloved Rex the Dinosaur from Toy Story 3! He is very cool, a lot of fun, very green and he can’t wait to be your best friend in the whole wide world! He will definitely be your little boy’s best friend! *I hope you enjoyed my selections of dinosaur toys from this page! Cool Birthday or Christmas Gift Ideas for 5 Year Old Boys!